While Daniel Edward Fitzgibbons cherishes what he has accomplished in his impressive career, from his perspective, family and community are more important and always have been, even when he was the youngest of five kids growing up in Fargo, North Dakota. When he attended grade school at Holy Spirit School and then moved on to Shanley High School, Daniel played an integral part in both campuses. At Shanley, for instance, he participated in a singing group and a key club, even as he played for the school’s golf and football teams and also participated in intramural hockey. 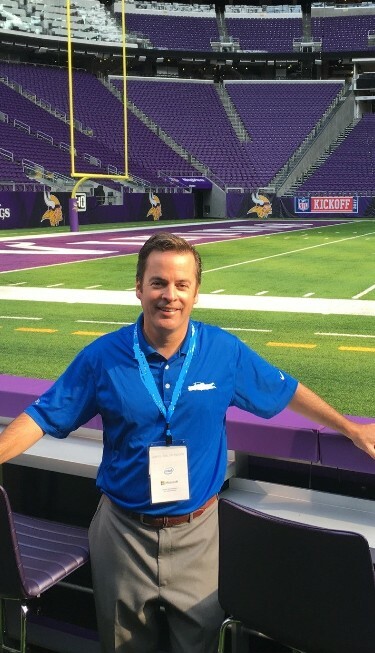 His career has now surpassed 25 years, including his current position as the Data Protection Business Manager in the Minneapolis office of EMC Corporation, While it’s obvious that Daniel Edward Fitzgibbons knows the tech business very well, he still values the inroads he has made in community service. He feels greater satisfaction from the work he’s done in the community, whether he is making sure single mothers can gain more independence by providing them with clothes for a successful job interview or he is feeding hundreds of thousands of sandwiches to the poor. He wants to make the Twin Cities the best it can be.